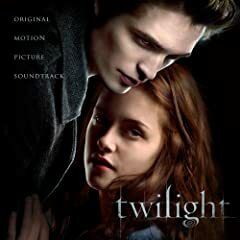 You can order this special edition Twilight Soundtrack CD/DVD combination at Amazon. Can’t wait to get your Twilight Soundtrack? You can still download the Twilight mp3s as well from Amazon. 17 songs will cost you $11.99, or you can buy some of the songs individually for .99 each. If you are an iTunes user, you can also download the original Twilight Soundtrack for $11.99 from iTunes.